Lung patients need active physician involvement in support groups, particularly for non-cancerous lung patients including COPD, the 3rd leading cause of death in the US. For many of us COPD is only the beginning of medical conditions including Sleep Apnea. We are fortunate that Harrison’s Respiratory Department has gotten more involved and active in support services for lung patients and the Better Breather’s monthly programs are becoming a Don’t Miss. That said last month’s program was the beginning of another round of new stuff and no MD to connect all the dots. Pulmonary support groups NEED direct physician involvement. I know they are busy. So are the patients. We want to be educated and the physician is the only person to answer medical questions. Joyce had Cheryl Ball, Respiratory Therapist in charge of the Sleep Apnea program with guest speaker, Jeff Lackey, Patient Care Coordinator of Pacific Pulmonary Services. Both did a great job inciting keen interest, as you will see in the following photos. I wrote the following post in answer to the Kitsap Sun Reporter Rachel Pritchett’s article that Harrison Medical Center’s Heart Surgeons won a second year of the highest rating given for Bremerton Cardiothoracic Surgery. “The most successful support group – or one of them – is AWAKE, the Sleep Apnea support group in Kitsap County. Why? It is physician led. Well. It is time for lung doctors to step up to educate the Better Breather’s pulmonary support group. I recently attended a BB meeting and too many questions could not be answered by the knowledgeable techs present – they needed answering by doctors who know the whys and wherefores of sleep apnea. Educating patients is vitally important and the lung patients have been sadly neglected…yes, I do understand about the money trail in popular medical conditions. Many of us lung patients kick off due to heart disease caused by lung issues. It’s no small wonder that COPD is now the third leading cause of death in the US considering that educating lung patients is at the bottom of the physician scale of things to do. Am I being unfair to busy physicians? I am a patient – the answer is NO. Doctors – get involved with educating us. Please! Contact Harrison’s Pam or Joyce (Respiratory) for scheduling a PHYSICIAN speaker for the next Better Breather’s meeting. India is the first country I know of to begin a doctor sponsored Asthma-COPD Club (AC Club) for patients…Whoopee! Department of Chest Medicine at Karamsad-based Shree Krishna Hospitla in Anand, does. Diagnosing, running tests and handing the patient prescriptions and appointment card for their next visit is not good enough. 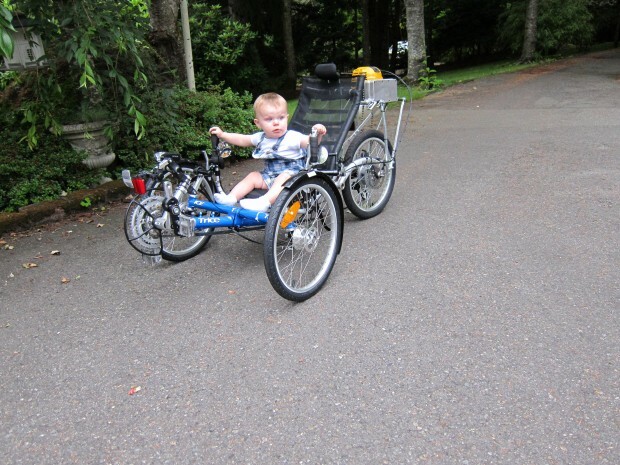 Patients leave the doctor’s office, in many cases knowing little about the disease/s and how best to live with it and what they can do to best help themselves…such as ride the recumbent trike safely for exercise and fun. Recently I called our own Harrison Medical Center to ask what they had planned for COPD Day. The operator asked what COPD is. A little over a week later, I visited my son in Harrison, Bremerton and was helped by an energetic, friendly and helpful person. I showed her my “Rearing For Health” over a funny looking rearing horse and “What Is COPD” below the horse tee-shirt. Chronic Obstructive Pulmonary Disease is the 4th leading cause of death in the U.S., 5th in the world. Diabetes is 5th leading cause of death. “It is estimated that COPD will become the third leading cause of death by 2030. In a country like ours, effective prevention and regular treatment is the key to check progression of COPD, which can otherwise result in significant burden to our society in terms of healthcare expenses,” professor Dr Rajiv Paliwal told TOI on Saturday, adding that asthma and COPD are two diseases due to which patients suffer from breathlessness. “While asthma is a genetically determined, COPD is not a familiar disease. Earlier, it was believed that COPD occurs only to smokers but even non-smokers are increasingly being affected by the disease due to high air pollution. Females in rural areas catch COPD because of the use of chullas’,” said Paliwal, adding that the club will help pulmonary rehabilitation of patients. Usually, patients suffering from such kind of breathlessness become socially isolated, which in turn depresses them. “This results in a vicious circle as their breathlessness increases due to depression,” said professor Dr Satish Patel.